Is City Councilor Pat Davis and ProgressNow NM Responsible for ABQ Riot? 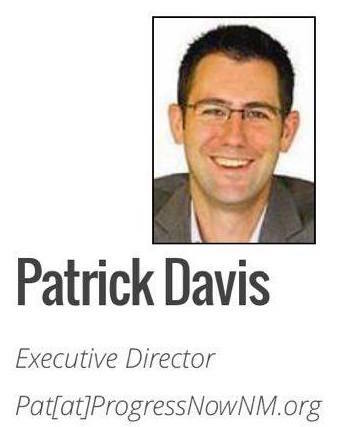 Home Newsletters Is City Councilor Pat Davis and ProgressNow NM Responsible for ABQ Riot? Albuquerque, NM- Protest ABQ has always maintained peaceful protests throughout Albuquerque and beyond, this is because we are opposed to all forms of violence. In fact, our mission is to protect the most defenseless among us, children in the womb, from the ultimate act of violence: abortion. On Tuesday, May 24th Albuquerque experienced a protest that really became a riot because these efforts are fueled not by love but by hate and anger. This riot was one of many throughout the nation focused on opposing Donald Trump’s presidential campaign rallies. 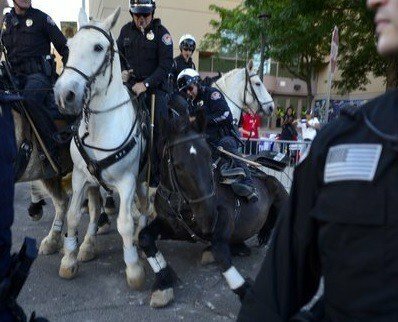 One of the main groups organizing the anti-Trump agitation event in Albuquerque which ultimately resulted in violence against the police, property damage and even animal cruelty was ProgressNow New Mexico. 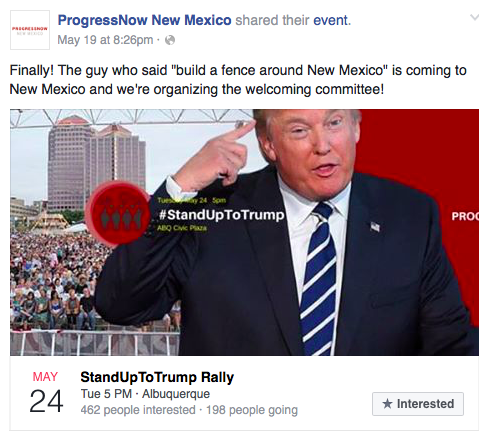 “Join ProgressNow NM and other community partners for an Anti-Trump rally to stand up to Donald Trump.” The events Facebook event page stated that it was created by ProgressNow NM. The executive director of ProgressNow NM is Albuquerque City Councilor Pat Davis (District 6). Whether it was Bernie Sanders supporters or Hillary Clinton supporters that where responsible for the riot, these bullies ultimately have the same agenda: Shut Down Donald Trump and his supporters first amendment rights. Billionare Nazi collaborator George Soros has publicly condemned Donald Trump and is pouring millions of dollars to defeat him. George Soros is a member Democracy Alliance. According to its website, “The Democracy Alliance, founded in 2005, is the largest network of donors dedicated to building the progressive movement in the United States. We play a leading role in fostering the infrastructure necessary to advance a progressive agenda for America. 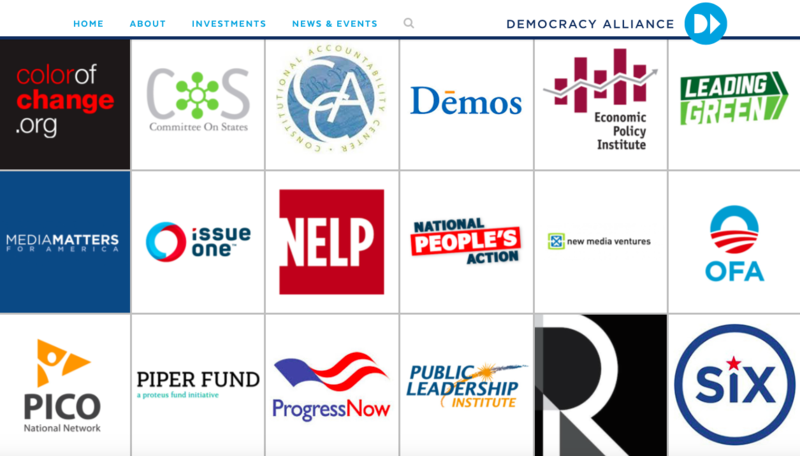 We invest in every aspect of progressive power-building – from policymaking to organizing grassroots communities to winning state and national issue and electoral campaigns.” One of the organizations that Democracy Alliance directly funds is…ProgressNow! In addition to being the executive director of ProgressNow NM, City Councilor Pat Davis is also on the board of directors for ProgressNow. Another member of the board of directors of ProgressNow is Ted Trimpa. 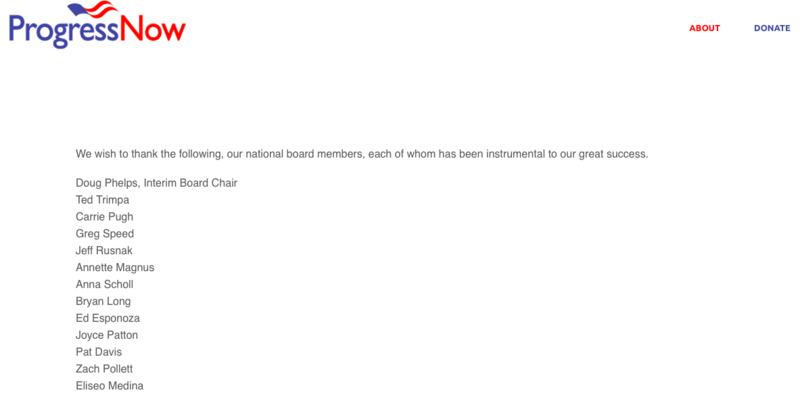 In addition to working with ProgressNow, Trimpa also serves on the board of directors of…Democracy Alliance! The Interim Board Chair of ProgressNow is Doug Phelps, he also is a member of…Democracy Alliance. In addition to Democracy Alliance, a super PAC called Priorities USA recently received $6 million dollars from George Soros to directly fund Hillary Clinton’s presidential campaign. 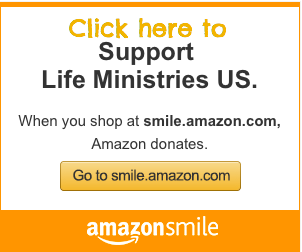 In 2015 alone Priorities USA raised $41 million dollars. Gregg Speed serves on the board of Priorities USA and…ProgressNow! Gregg Speed is also president of America Votes another organization that Democracy Alliance directly funds. Is Pat Davis’ organization ProgressNow New Mexico being directly funded to shut down free speech, cause civil unrest, and ultimately thwart the democratic process of an upcoming election in New Mexico? Media Matters (also directly funded by Democracy Alliance and organized by George Soros) has characterized Protest ABQ as “a radical anti-abortion group” and claimed that Protest ABQ’s peaceful and non-violent protests are an attempt to, “mobilize violence against abortion providers” yet over the past two years of doing several protests each week, NONE of them have produced riots or property damage nor violence against ANYONE. In fact Protest ABQ has continuously and publicly condemned all acts of violence. Where is Pat Davis’ statement condemning the mob rioting and violence that his anti-Trump agitation event produced? If Protest ABQ is labeled “radical” and “violent” for our peaceful protests, what should we conclude about Pat Davis and ProgressNow New Mexico?